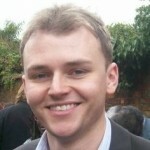 Rob is the (Acting) Head of the Education Policy Team at the Department for International Development based in London. As a member of the Education Policy Team, he leads on post-2015 discussions for education. Rob previously worked for the European Commission and has previous experience teaching.